The most basic definition of a leader is one who has followers. No one follows or supports a leader they do not trust. They may stay, but they do not truly support the leader, which is perhaps why Gallup Organization research has identified that only 29% of the American workforce is engaged. The other 71% have stayed, but are either not engaged (55%) or actively disengaged (16%). Many managers do not understand the difference between being trustworthy and building trust. They expect that because they are trustworthy, and they are, in an ethical, moral sense, people will trust them. Yet they may be going to work every day and destroying whatever trust there is. For example, a senior manager may perceive that being trustworthy means maximizing shareholder value. An employee, on the other hand, sees a trustworthy manager as someone who values them as a person and allows them to use their talents and creativity to improve performance. Both points of view are correct, to a degree, but the senior manager, who is so focused on being trustworthy to the board and shareholders that employees do not feel valued or respected, will destroy employee trust, their engagement and commitment. Why are 71% of the American workforce not engaged or actively disengaged? The level of trust in management is a primary contributing factor. and culture change is that . . . Leadership training is designed to change leadership behavior so that business results can be improved. And most management and leadership training provided by internal training departments or external consultants are events, that is, two to five-day events with minimal or no follow-up. And it is entirely up to the participant whether they use what they have learned or not! "The thinking brain can comprehend something after a single hearing or reading. The limbic brain, on the other hand, is a much slower learner, particularly when the challenge is to relearn deeply ingrained habits. The difference matters immensely when trying to improve leadership skills." At their most basic level, those skills come down to habits learned early in life. If those habits are no longer sufficient, or hold a person back, learning takes longer. Reeducating the emotional brain for leadership learning, therefore, requires a different model from what works for the thinking brain: It needs lots of practice and repetition." Only a process of development, a series of events with application and reinforcement, can be expected to achieve lasting change in leadership behavior. The Leadership Development Process™ helps leaders understand that they are accountable for the environment they create and whether that environment is based on trust--or a lack of it. The process provides them with the knowledge, skills and applications that they need to create a work environment based on trust and personal responsibility, a place where people want to be accountable for their performance. 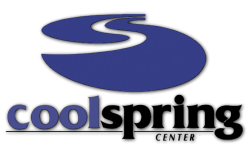 Freedom Schools' students and staff team spent a dynamic day at Cool Spring Center understanding each other in more depth to improve effectiveness and productivity through Everything DiSC Workplace profiles...fun and learning had by all. Davidson students serve as servant leader interns for Freedom Schools. Everything DiSC Workplace is classroom training that uses online pre-work, engaging facilitation with contemporary video, and extensive online follow-up to create a personalized learning experience. Participants understand and appreciate the styles of the people they work with. The result is more effective and productive working relationships.